IoT, como todos nós estamos principalmente conscientes até agora, é uma das tecnologias de conectividade mais revolucionárias que surgiu vitoriosamente dentro do heap de outras tecnologias que também surgiram nas últimas duas décadas ou assim. Mas com seu impacto extremamente benéfico no setor do negócio & consumidor, há certamente alguns problemas tecnologicos e ideological realísticos irrompeu com ele também. No entanto, a coisa boa é que todos esses desafios pertencentes à indústria de IoT podem ser tratados eficazmente usando algumas soluções tecnológicas igualmente eficazes. Leia o artigo completo em Daily Hodl! 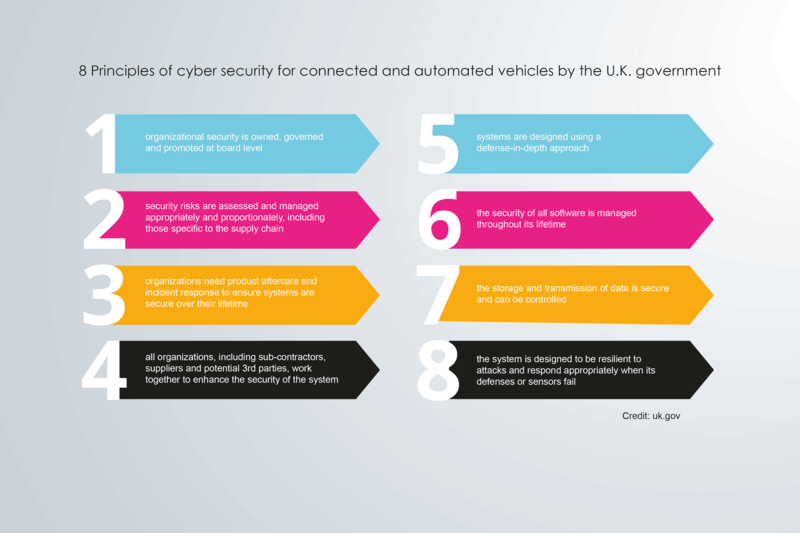 Just days after the first ever bill on IoT security was submitted in the U.S. House of Senate for approval, United Kingdom becomes the second country in the league to create, and impose, security regulations for IoT connected cars in the country. This move by the UK government has not come being inspired by the US legislation on IoT, but due to a few attacks by the hackers on connected cars in the UK recently. One of the cars being targeted in the recent series of attacks on connected cars in the UK was a Tesla, an electric car made by the Tesla Inc., a company whose co-founder is the famous digital innovator Elon Musk. Source: Principles of Cyber Security for Connected and Automated Vehicles by Government of the U.K.
We believe most of us who belongs to the IoT industry, in some way or another, must be in harmony with the words of Mr Lacerda. The expert advisors on IT and other technologies in the UK government might, perhaps, have the same reason; including the series of recent attacks, to recommend the Department of Transport U.K. that the time to regulate autonomous IoT-connected cars has come. Well, we hope that UK’s automated vehicles will become safer after these regulations being imposed, and with this, we are also sure of ushering into a new era in which IoT technology has started to take its official standards and legislatures for everyone to follow. This thing convincingly assures us that IoT is definitely here to stay, and stay it will for long!